The passenger traffic of Kazakhstan’s government-owned airline Qazaq Air reached 170,000 in January through August this year, reads the carrier’s statement. This indicates an increase of 51% year-on-year. The biggest traffic growth was observed in the summer months. In particular, the airline carried 92% more passengers to Astana airport year-on-year thanks to Expo 2017, which was held in the country’s capital city from June 10 to September 10. 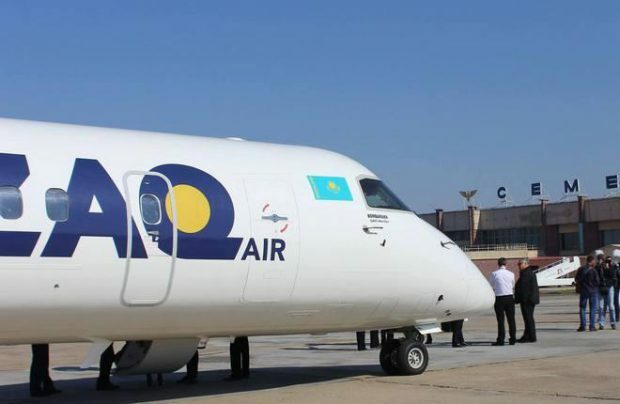 Qazaq Air also boosted its flight frequencies out of Astana by 60% and introduced a number of domestic routes, including from Almaty to Taraz and from Astana to Shymkent, Kostanay, Jezkazgan, Aktobe, and Atyrau. The carrier also opened its first international route: a charter service between Almaty and Tamchy in Kyrgyzstan. Another line of work involves ongoing efforts to cut down on turnaround times. The increase in passenger traffic has also led to a growth in the operator’s seat load factor, which stood at 72% in the first eight months of the year and exceeded 80% in summer. The carrier earlier noted that more than half of its tickets get sold over the internet. To bolster the trend, Qazaq Air has started offering extra online services. The airline’s growth brings it closer to meeting its annual traffic target of 250,000 this year. Future plans include opening new routes to southern Russia and to other destinations across Central Asia, as well as striking a code-sharing agreement with Kazakhstan’s flag carrier Air Astana. Qazaq Air was founded in 2015. It operates the country’s youngest fleet, made up of three Bombardier Q400NG turboprops. The carrier plans to add more airliners next spring.